Under a lot of stress? Grappling with your sexual/gender identity? 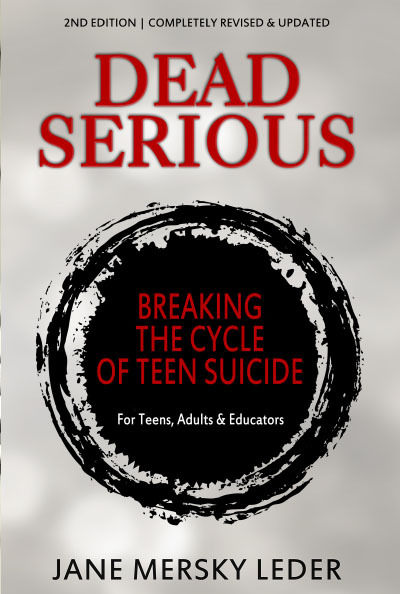 The completely revised and updated 2nd edition of the award-winning Dead Serious: Breaking the Cycle of Teen Suicide provides tools and strategies for teens, adults and educators to help break the cycle of suicide. Teens talk about their lives, their problems, and ways to feel less stressed and more optimistic. Having a friend who will listen and a trusted adult to turn to can make all the difference.